Are You Bored Playing The Same Old Christian Ice Breakers? Below are my collections of Christian Ice Breakers and games. These are tried and tested games that work, and most importantly, fun! 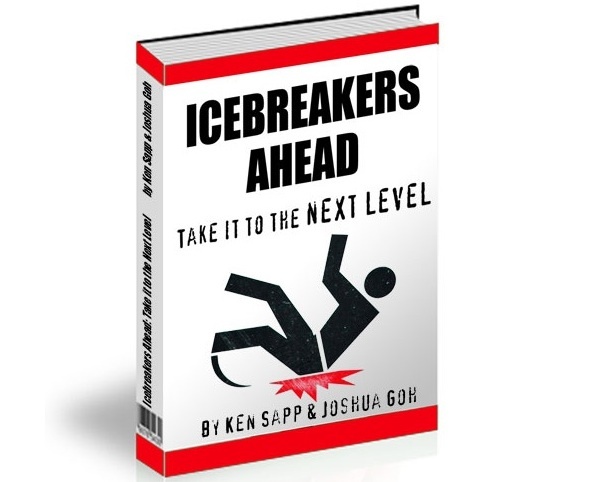 Here's a great icebreakers resource book for Christians and youth leaders. The games have inbuilt values such as attitudes, diversity, dreams, leadership and many more. The games are indeed very creative and I'm sure your youths will enjoy them. Download this ebook here. Choose Any Of The Christian Ice Breakers Below And Have Fun! These are my collections of icebreakers. You can play them before a youth meeting, a ministry outing or even for fellowship and parties! Great youth group games for church youth and cell group meetings. 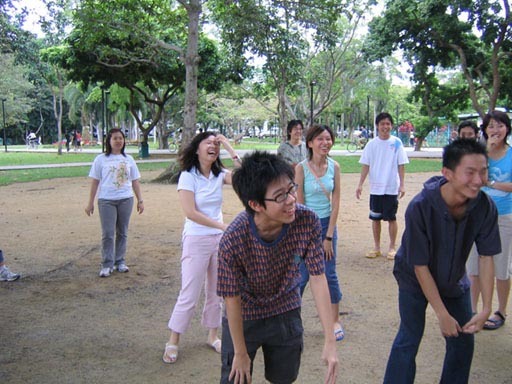 Free team building activities for your enjoyment. Great team building activities and ice breakers for greater bonding. Here are more ice breaker games for you. Try them with your friends, church mates, meetings, gatherings and parties. Be the one that breaks the ice! Fun youth group ice breakers. Before our youth meeting starts our leader would divide us into groups for games. All of us get so excited whenever we play these games! Looking for more ice breakers? Click on the link for more free ice breakers! Use them whenever you like. Simple, exciting, gets everyone into high spirits. Running out of ice breakers games? Here are more ideas for you! Excellent for youth meetings,ministry outings or fellowships. Not enough ice breakers games? I have more for you here! These are really exciting ice breakers. Downside is... people tend to make too much noise while playing them! Need more ideas for ice breakers? Great Youth Ice breakers here! Great for your youth meetings and gatherings. Suitable for children and young adults. More ideas for ice breaker games here. These are really fun when everybody participates. Let loose and have a greattime with these ice breakers!